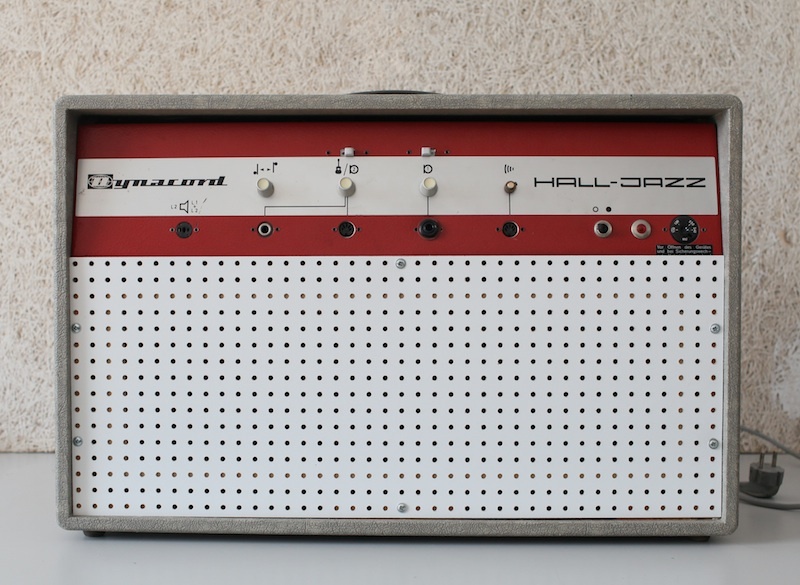 When Sebastian brought me this Dynacord Hall-jazz it was in terrible condition. Besides shocking the hell out of you when you plugged it in, the reverb didn’t work, and the front baffle was missing with the speaker “fit” onto a board in the back. I suppose someone figured the controls should go on the front of the amp! Restoring the amp meant first replacing all the electrolytic capacitors. Next up was repairing the defective reverb section. This involved finding a new output transformer for the ECL86 as the original reverb tank and transformer were missing. Then I cut out a new baffle board to fit the original speaker (which luckily still worked!) and installed the back cover panel. There were many little issues along the way as the amp was built on a PCB board which had suffered quite a bit of abuse over the years. 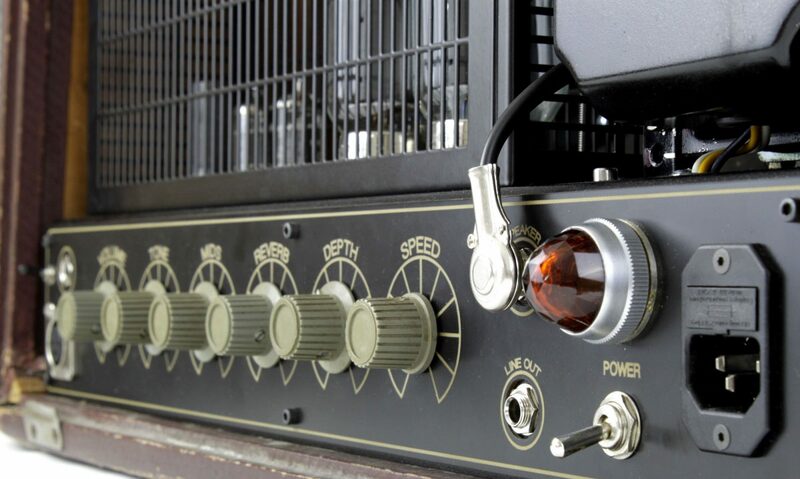 Now the amp, while not especially loud, does have that remarkable clean sound these amps are known for. I may have to even glue the old logo on again! Shop hours are 11 until 7 but please call beforehand to make sure that we are available.